Go to the "Less secure apps" section of my Account. Turn on Allow less secure apps. (Note: If your administrator has locked less secure app account access, this setting is hidden. 2. If you are adding another email account to Outlook, from the top menu, click on Tools. Then click on Accounts. 5. Enter your email account information in this window. 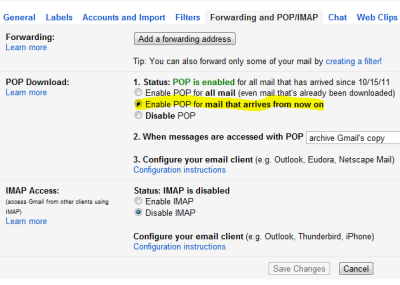 Select POP3 or IMAP. We recommend IMAP. 6. Next, we'll configure your Outgoing server settings. Click on the More Options... button. For Authentication, select Use Incoming Server Info. To avoid common authentication issues with Outlook, we strongly advise using SSL and port 465 for SMTP connections. Click OK to save your settings.